The world is changing – what about us? 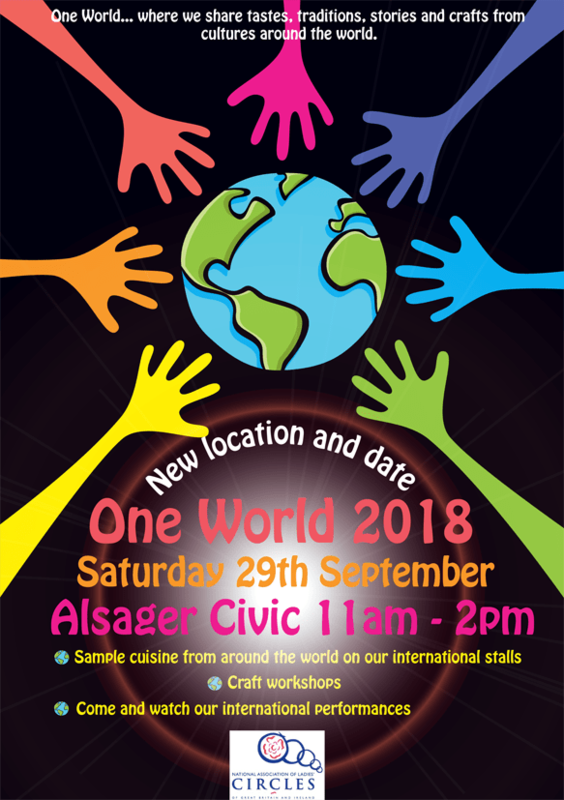 The annual One World Festival will be taking place on Saturday September 29th from 11-2pm. The theme of this year’s festival is “The world is Changing- what about us?” We have changed venue this year and so the festival will be held in and around Alsager Civic Centre. This is so we can be at the heart of the village as we celebrate the diversity which exists in our community. Come along and try foods and delicacies from around the word; take part in dancing, drumming and storytelling workshops or try a new craft. As ever this festival provides us the opportunity to celebrate our community so come along and see what we have to offer.